There are so many new technologies, best practices and regulations. How do you know what works best on your farm? 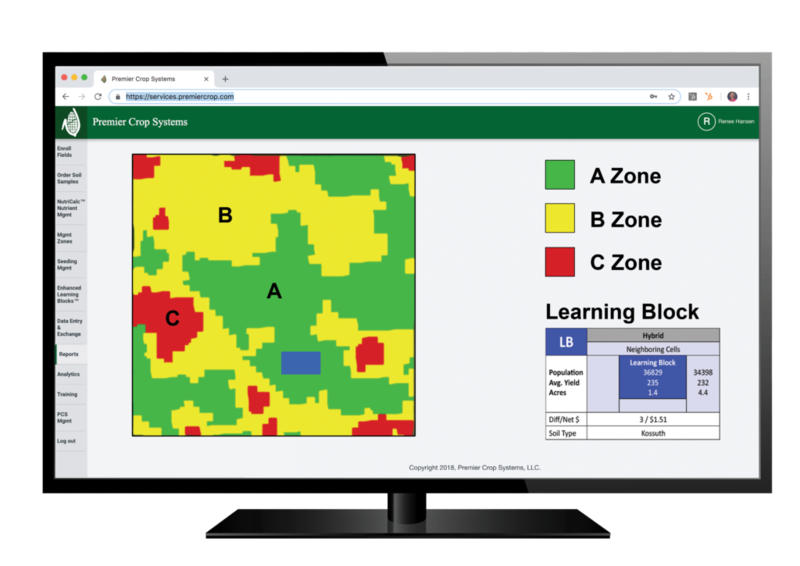 Premier Crop has created a low-risk way to test and check variable rate seed populations and nutrient rates in one-to-three test acres, called Learning Blocks. You have the ability to check if the optimal rate for that environment is higher or lower, in a low-risk way, built right into your prescription. A low-risk way to try different application rates in a small one to three acre areas. You also have the ability to align fertilizer and other input applications within these Blocks for more control of real-world variables.